If ever there were a company on the front line of protecting the environment, it would be Junk King Palm Beach. They are literally given tons of unwanted items every day. Their mission is to make their customers happy by removing all that clutter but the work doesn’t stop there. 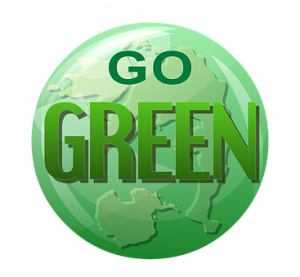 Junk King Palm Beach is dedicated to an eco-friendly disposal policy that makes the environment around Palm Beach a priority. This is why you should always think about turning your junk over to Junk King Palm Beach especially if reducing your carbon footprint is important. Best of all you can do that without lifting a finger! There are a handful of recycling drop off centers just outside of Palm Beach. You may not be aware is places but they are part of Junk King’s route. There may be one facility that handles metal and another one for plastics. There is definitely a separate facility for the e-waste. There is even one for foam and mattresses. That could mean that a single truckload might require three or four drop offs. That won’t be a problem for Junk King Palm Beach. Another part of their eco-friendly disposal policy is all the drop offs they make to various charitable organizations throughout the area. Junk King Palm Beach has identified the groups that can refurbish furniture. They might also have a thrift store for clothing and household goods. It’s a great way to give the stuff you’re tossing out a new lease on life. You should feel good about giving your junk to Junk King Palm Beach! The cost for all those potential drop offs is included in the low price policy established by Junk King Palm Beach. These rates are based upon how tightly the crew is going to pack up their truck with all your stuff. Since they like to make several pickups in the course of a day you can count on that truck being extremely full. The less amount of space they squeeze your stuff into will equal a low rate. That’s what the Junk King crews shoot for every time. You’ll know that price before the work starts. And it won’t change once the job is done. If you want to make sure your junk is handled in an eco-friendly way, then Junk King Palm Beach is the company to call. 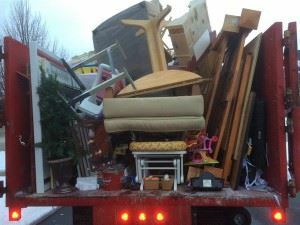 This entry was posted in junk removal and tagged eco-friendly, Junk King, junk removal on August 26, 2016 by Dave Archer. Last updated August 11, 2017 .